Girdwood-based musher Nic Petit crosses the finish line at Freddie's Roadhouse for his first T-200 victory in 2018. He and three other past winners will be in this year's race. 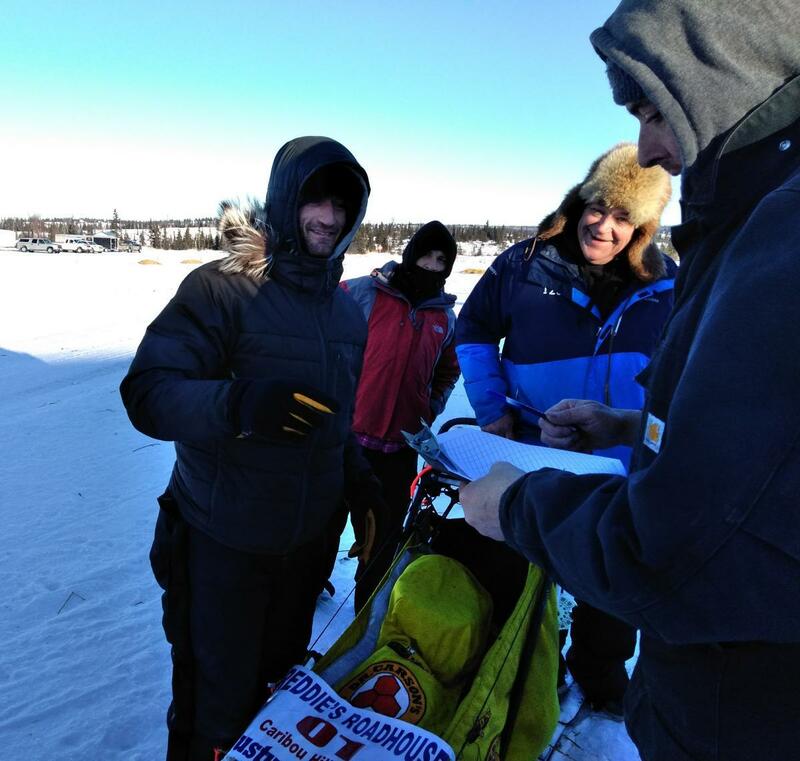 The field includes several past T-200 winners, including last year’s winner, Nic Petit, who is fresh off a victory at the Copper Basin 300 a week ago and a 4th place finish at the Kuskokwim 300 this weekend. Lance Mackey is also returning to run the T-200. He won the race back in 2008. Murray says one team she’s keeping an eye on is that of Travis Beals out of Seward. A pre-race vet check will happen Friday at noon at the Soldotna Regional Sports Complex. The official start is at noon on Saturday at Freddie’s Roadhouse at the end of Oilwell Road in Ninilchik. The T-100 will start immediately after the big race. The lead teams should arrive back at the start some time Saturday evening with the rest of the field trickling in throughout the day on Sunday. An awards banquet will be held Monday in Kenai. Murray says with the added checkpoint, they could use more volunteers. You can find volunteer opportunities here.